One can scarcely begin to imagine how painful it must have been for the red rose troops as Yorkshire swept all before them during a particularly productive decade in the 1960s. 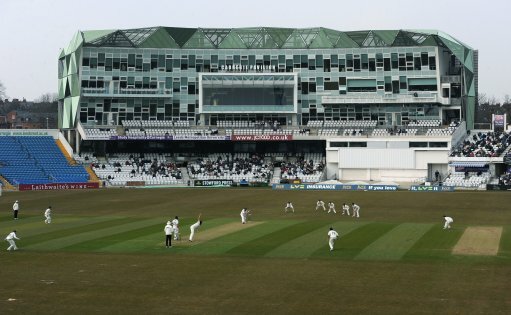 Therefore, the annual County Championship contests represented an opportunity for Lancashire to strike a blow against their celebrated neighbours. The Tykes after all were the team on a pedestal during this era, and Lancashire must have been desperately keen to take Close and company down a peg or two..........During this decade, Yorkshire won 8, Lancashire won 2, 10 draws. YORKSHIRE versus Lancashire; at Headingley; 4 and 6 June 1960; YORKSHIRE won the toss. There were seven ducks in Yorkshire's 'efforts', including a pair for Fred Trueman and Don Wilson in this emphatic rout. Lancashire versus YORKSHIRE; at Old Trafford; 30 July, 1 and 2 August 1960; Lancashire won the toss. Eight wickets from Ryan almost pulled off an unlikely victory as the hosts nearly made a mess of their run chase. Lancashire versus YORKSHIRE; at Old Trafford; 20,22 and 23 May 1961; Lancashire won the toss. Raymond Illingworth destroyed Lancashire's second innings to ensure revenge for 1960's double whammy. YORKSHIRE won by ten wickets. YORKSHIRE versus Lancashire; at Bramall Lane; 5, 7 and 8 August 1961; YORKSHIRE won the toss. Here was another occasion that fell foul of the weather. Fred Trueman batted and bowled well for the champions. YORKSHIRE versus Lancashire; at Headingley; 9, 11 and 12 June 1962; YORKSHIRE won the toss. The Tykes had been outplayed in the first half of the match until Fred Trueman wrecked Lancashire's second innings. Yorkshire won by seven wickets. Lancashire versus YORKSHIRE; at Old Trafford; 4, 6 and 7 August 1962; Lancashire won the toss. Yorkshire held the upper hand in this contest, courtesy of two good batting performances from Phil Sharpe. YORKSHIRE versus Lancashire; at Bramall Lane; 1-3 June 1963; YORKSHIRE won the toss. New kid on the block, a bespectacled Geoff Boycott, helped to pile on the agony here in this awfully one-sided encounter. YORKSHIRE won by an innings and 110 runs. The white rose did not have enough time to exploit its ascendancy here after centuries from Boycott and Sharpe. Lancashire versus YORKSHIRE; at Old Trafford; 16, 18 and 19 May 1964; YORKSHIRE won the toss. The Tykes dangled a target of 154 in front of their foe and it did make for a thrilling finish, but nobody could quite win. YORKSHIRE versus Lancashire; at Headingley; 1, 3 and 4 August 1964; YORKSHIRE won the toss. Four Yorkshire batsmen made more runs than Lancashire accumulated in both innings of this landslide result. YORKSHIRE won by an innings and 131 runs. Lancashire versus YORKSHIRE; at Old Trafford; 5, 7 and 8 June 1965; YORKSHIRE won the toss. The visitors were cruising at 94-1 in their run chase, but a flurry of four wickets persuaded them to settle for a draw. YORKSHIRE versus Lancashire; at Bramall Lane; 31 July, 2 and 3 August 1965; YORKSHIRE won the toss. Lancashire lost twenty wickets while the hosts lost only six to represent an apparent gulf in class between the two. YORKSHIRE versus Lancashire; at Headingley; 28, 30 and 31 May 1966; YORKSHIRE won the toss. John Waring produced his best-ever figures as Lancashire's batting woes continued against the champions of that year. Lancashire versus YORKSHIRE; at Old Trafford; 30 July, 1 and 2 August 1966; YORKSHIRE won the toss. Lancashire must be kicking themselves that they didn't post another thirteen first innings runs before electing to declare! YORKSHIRE won by 12 runs. This battle of the roses was abandoned without a ball being bowled on account of the Mancunian weather. YORKSHIRE versus Lancashire; at Bramall Lane; 5, 7 and 8 August 1967; YORKSHIRE won the toss. Apart from Geoff Pullar and David LLoyd, no other Lancashire batsman reached double figures in the first innings. YORKSHIRE versus Lancashire; at Headingley; 1, 3 and 4 June 1968; YORKSHIRE won the toss. In his final season fiery Fred Trueman was still making Lancashire's brittle batting suffer torture. Lancashire versus YORKSHIRE; at Old Trafford; 3-5 August 1968; Lancashire won the toss. After their first innings flop, Yorkshire's second innings was preoccupied with avoiding defeat than chasing 253. The reigning champions did not make any runs because the weather was inhospitable again. In a bizarre finish, Ken Higgs bagged three wickets which left Yorkshire one run short of victory.